We did a mini ocean theme in between my packing, shopping and working - I planned so much more than we got around to doing so we will most likely pick up where we left off when we get back home but for now you can take a peek at the fun we did get have! 4. 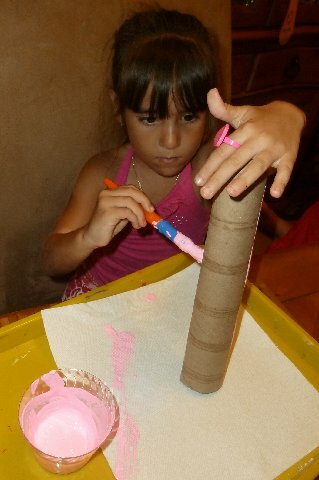 Add dots to each tentacle - we used glitter paint but you can use marker, dot stickers, etc. If you know of any other fun octopus books be sure to comment & let me know! How cute! We will have to make some of these! Hope that you are having a happy week. I had taken some time off from blogging and Tweeting to get things done with my family but am trying to get back into the groove. 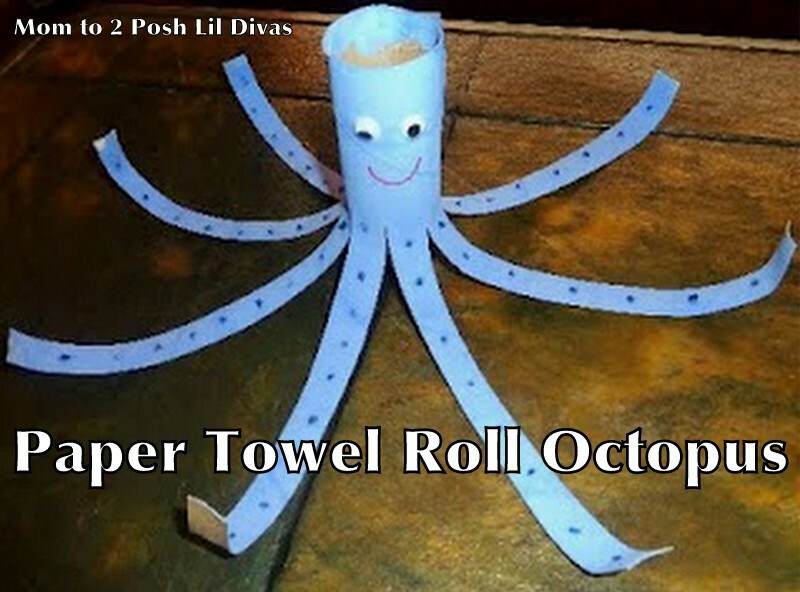 My five year old twins would love to make this! Stopping by from Deilcate Construction. Thanks for sharing! This is really adorable! I'm going to share this with Counselors at my summer camp! Looks like they had a lot of fun. 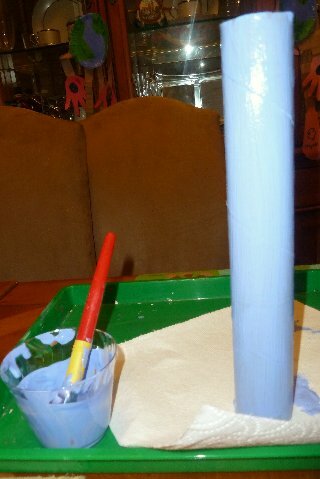 A fab runny day activity or maybe useful for the school holidays! Oooh I was waiting for your paper tube octopusses when you were tweeting about them! Yours turned out LOVELY! So cute! Thanks for linking to Read.Explore.Learn. This counts as an entry in the Summer Reading Challenge. These are so cute. I am dying to take JDaniel to the aquarium in Atlanta! I love this craft! We are going to our local aquarium later this summer. Hopefully we can do something like this afterward. Octopus books: 'An Octopus Followed Me Home'by Dan Yaccarino, 'Octopus Soup'by Mercer Mayer, 'Over in the Ocean: In a Coral Reef' by Marianne Berkes, and 'My Very Own Octopus' by Bernard Most. They are so cute. 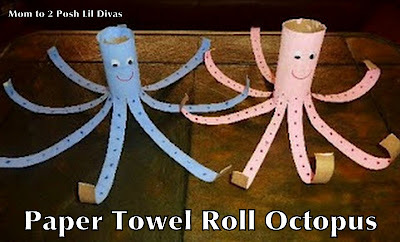 What a great idea to recycle paper towel rolls for this simple craft! 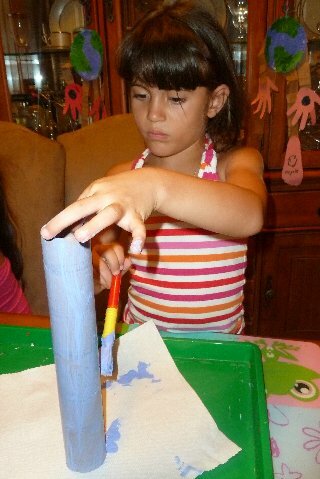 cute craft. I love all the legs. I bet they had fun making it. Thanks for linking up to art4littlehands. I featured your super cute Octopus on our blog today! Thanks-Mommy and Me Book Club!